If you're looking for an ice-cold experience with a smooth nic salt formula, look no further than Mad Hatter's Spearmint Gum vape juice. Full of frosty spearmint flavor and with a decidedly refreshing exhale, Spearmint Gum is the perfect juice to keep you feeling refreshed throughout the day. My favorite mint juice! 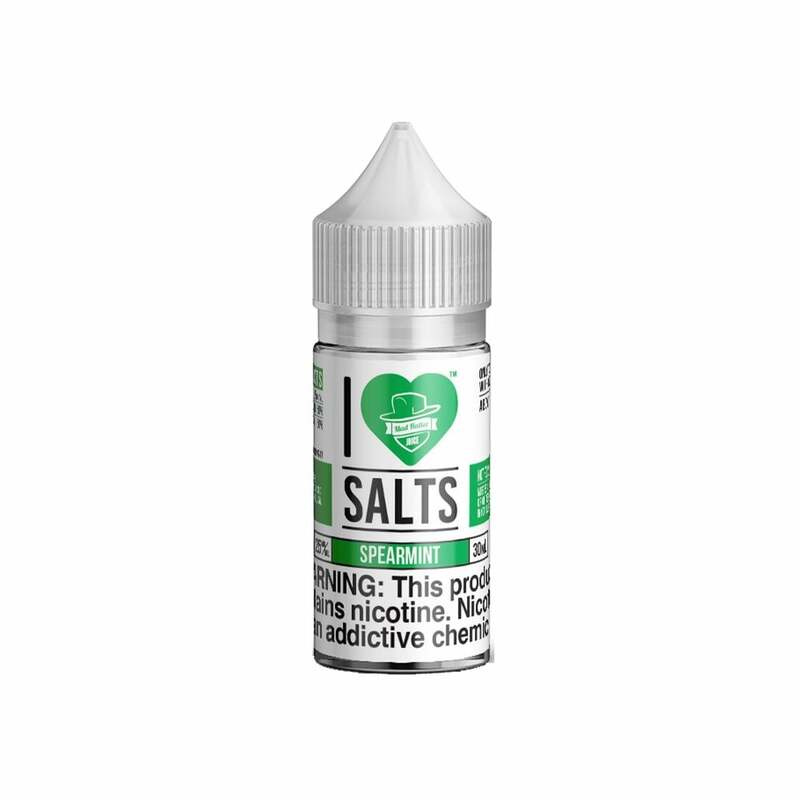 Smooth minty flavor with just enough cool menthol and no bite. I love this flavor...I mix it with some of my sweet flavors to add the perfect kick! PERFECT SPEARMINT FLAVOR!!! This is the mint I've been looking for -- much better than the Juul mint, has a nice sweet touch, tastes almost exactly like the old Freshen-Up Spearmint gum! Flavor is exactly what it says, really good spearmint however, throat hit isn't really there at all even on 50mg. But if you're looking for a smooth spearmint taste this takes the cake, be aware it might not be an ADV as it can get boring after a while as it is a bit sweet. Juice is also crystal clear which should be good for coil life. I like the coolness of it, its great smoking juice. Taste was horrible! Like burned chemicals! Just like the gum. My go to vape flavor. Excellent juice and doesnt burn pods or coils as fast. True spearmint flavor. My favorite one! Great taste! I’m strictly a Juul mint pod girl and this is the only flavor I’ve tried that satisfies me like those! Good flavor Really kills the coils though. I like it a lot just wish it was a little more sweet. If you like spearmint gum then you will love this juice. Taste just like your chewing spearmint gum.